Time to reform Buddhism entirely. Yup I'm in that mood again. Looking around at the general decrepit state of things, I think it is long past time to get out some clean sheets of paper and map out new directions. Unfortunately the best I can come up with is: Swedish Chef Buddhism! Hum de dum dum dum de dum bjork bjork bjork! Hey I warned ya.... this is what happens when you post before morning coffee. Re: Time to reform Buddhism entirely. You need a double double from Tims. The best way to reform Buddhism is to reform Buddhists into Buddhas. catmoon wrote: Yup I'm in that mood again. "The general decrepit state of things"? But that's what the "old" Buddhism tells us we will find. And it (the "old" system) tells us how to address that. Why reinvent the perfect wheel? Dualism is the real root of our suffering and all of our conflicts. I reckon you should get together with "lobster" and work something out together. gregkavarnos - Your name has a greenish tinge to it... Did I miss an announcement?? 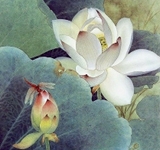 Jikan wrote: The best way to reform Buddhism is to reform Buddhists into Buddhas. The essence of a real practice is to bring our intellectual understanding to the level of our heart - so as to feel it - to live it! viniketa wrote: gregkavarnos - Your name has a greenish tinge to it... Did I miss an announcement?? The only reform Buddhism always needs is more realised beings and less traditionalism-ritualism. But it is happening anyway. "You are all already perfect buddhas." 1 Myriad dharmas are only mind. What is there to seek? there will be no seeing of a nature in any thing. this is the pure Chan of Tathagata. are complete within that essence. 1 Huangbo, T2012Ap381c1 2 Nirvana Sutra, T374p521b3; tr. Yamamoto 3 Mazu, X1321p3b23; tr. J. Jia 4 Yongjia, T2014p395c14; tr. from "The Sword of Wisdom"
All the present teachers of Buddhism should be admitted to a school where Lotus Sutra is taught. Biggest mistake of these blogs is that serious teachings of Guatam Buddha are brought out without basic understanding that Mahayana and Hinayana teachings of Guatam Buddha can be opposite of each other. That will be the job of the maitreya. However after coffee we might start with the 3 Noble Truths . . .
Now as you know not all of us are joy enabled and party ready. You are probably wondering, what sort of party bodhisattvas attend? ram peswani wrote: All the present teachers of Buddhism should be admitted to a school where Lotus Sutra is taught. Actually you will find that even Mahayana teachings tend to contradict each other a lot of the time. They are right in this,as the journey of Lotus sutra starts where Theravadran teachings end. I do not have the time to reread the major Mahayana Sutras to give you details, if you have the time and inclination (I know you have the capacity) I would recommed you read and compare the Lotus Sutra with the Lankavatara, Shurangma, Vimalamitra, Avatamsaka and Vajracchedika Sutras. Of course you will find many common points but you will also find many contradictions. The nature of the Tahagatagarbha. The classifications of the levels of mind (especially the arguments around the Alaya). The existence or not of material reality. "However after coffee we might start with the 3 Noble Truths . . .
Well, who doesn't like a party? Hmnnnnn: party / suffering : party / suffering : party / suffering: somehow, I think the party will win. From a Buddhist perspective maybe we are all on "Double secret Probation." Warning: contains foul language - but is REALLY funny. "Hello mother, I knew it was you", is a line from a song that might apply to the "new 3 kayas" picture. The picture actually does remind me, a little, of my old lady friend, Kaya, before coffee: three Kayas - the mind boggles! Lots of weird stuff in the world. Actually think that the picture might be from the Central Park, NYC, Summer flash / dance /rave event where there is a free circus of 100 acts, like this, to wonder at. Discovered the rave while walking around the park with Charlie Morley, after attending one of his excellent Dream Yoga courses, which took place in the park. How do we recast Swedish Chef Buddhism into recipes for tasty dishes, to the liking of all sentient beings, and make a feast that is permanently renewable and can feed everyone? Perhaps "someone" could contact the heads of all Buddhist groups, and ask them to contribute to an introductory practice wiki, to be hosted on the web. Maybe this could be a new section on DW. Putting aside all doctrinal formulations / preference, and concentrating on practices, would allow new comers to get a taste of Buddhism from within each group's frame of reference, and then decide which path they would like to explore further. A taste of individual experience, according to the practice style of each group, could be each individuals practical take away from the practice wiki. This could then lead to contacting the various groups / lineage holders - taking transmission, as applicable, memorizing the Tripitaka, Mahayana Sutras, Kangyur etc. and going to retreats and seminars for a few lifetimes. This is the party. Any Swedish meatball (tofu) recipes out there? Last edited by oldbob on Thu Oct 25, 2012 10:59 am, edited 3 times in total.